Building a sideboard in Modern is a challenge. There are approximately a billion different decks you can run into (I counted), and you’ve got a total of 15 cards to improve your matchup everywhere. That means you need to do some studying to find the correct sideboard cards. 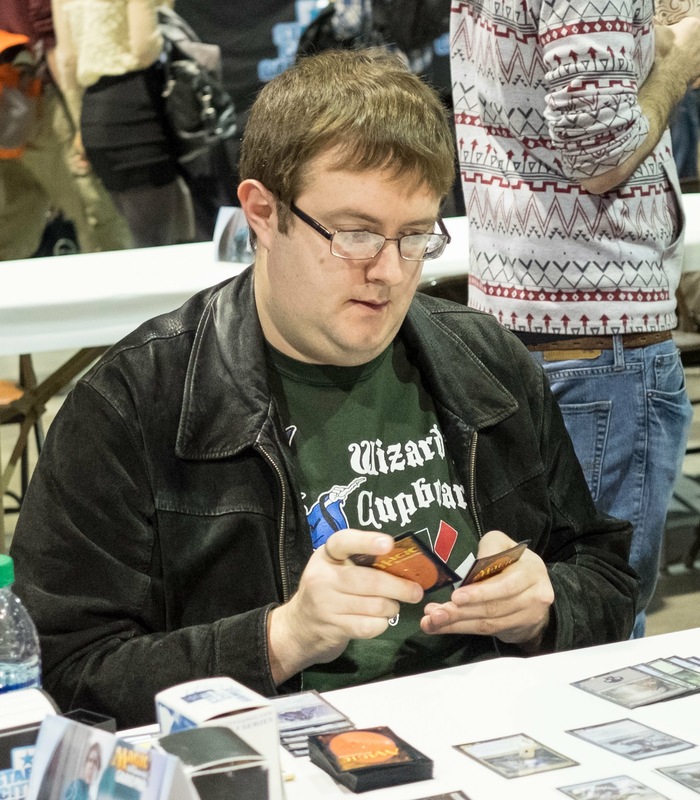 Mtgtop8.com has a great list of decks from recent events. I took a look at the most recent set of stats. I’m going to look at each one of the decks that got at least 1% of the metagame, and discuss some possibilities for beating them. Let’s get to work. Beating Humans is tough right now, which explains the high levels of popularity the deck enjoys. Any deck that can run multiple one cost removal spells (Lightning Bolt, Fatal Push, Path to Exile) has a good angle taken care of. The best decks against Humans pair that with sweepers to truly shut the door. Jund, Junk, and Mardu Pyromancer all have the pair of cheap removal spells available, but Tarmogoyf and Lingering Souls might not actually close the game out around the remaining Kitesail Freebooters and Reflector Mages. The best decks against Humans are the various U/W and U/R control decks that only devote a few cards to actually winning the game. Hollow One is an aggressive deck that abuses Hollow One and various graveyard creatures. The best ways to beat the deck should be fairly simple then, you need artifact destruction and ways to handle cheap or recursive threats. Burning Inquiry messes that up somewhat, since you have the chance of getting your hand randomly ruined. That makes Ancient Grudge specifically excellent at blowing up Hollow Ones, since you’ll always get at least one shot with it. Otherwise, graveyard hate and removal that exiles should serve you well. This one is really simple. Affinity is an aggressive artifact deck. Cards that blow up artifacts are excellent. Cards that blow up multiple artifacts are even more excellent. Cards that blow up all the artifacts are the most excellent. Don’t judge my grasp of the English language. Sideboarding against Jund is difficult. Any base Thoughtseize deck is going to be focused on tearing apart the opponent’s strategies and then winning with whatever they have left over. To beat decks like that, you need as many redundant cards as possible to continue towards your goal. The other option is to overload Jund on value. Lingering Souls and cheap Planeswalkers are very good at that. If you’ve got Obstinate Baloth and the Jund player won’t be boarding out Liliana of the Veil, Obstinate Baloth can be good. If you really want to beat Jund, just play any of the Tron decks (except Eldrazi Tron. That one doesn’t count). Any deck that can realistically cast a turn three Karn Liberated or Wurmcoil Engine should crush Jund into the ground. Eldrazi aggro covers colorless Eldrazi and the R/G haste Eldrazi deck. Both of them are essentially the Thought-Knot Seer and Reality Smasher duo with some Eldrazi Temples and some random other cards. The haste deck is very good against control decks, since virtually every card in the deck is good against a reactive deck. The colorless Eldrazi deck is good against…something? The deck sacrifices a lot of strong cards for the possibility of hitting all the tron lands for an even faster Thought-Knot Seer or Reality Smasher. Karn, Scion of Urza probably gives the deck a little more power. Overall, the possible speed tradeoff for multiple colors of cards seems very bad to me. Blood Moon and Damping Sphere are both underwhelming cards against these decks. If the opponent is exceptionally greedy with lands, you might be able to lock out <> cost cards. Mostly, you trade a turn of your development and a card for approximately a turn of the opponent’s development. Burn is the most redundant combo deck in the format. It needs to draw approximately 6-7 cards that deal three damage, depending on the damage the opponent takes from lands. Creatures are higher variance, but they can deal upwards of six damage for a single card, so the good ones make the cut. If you want to beat them, you need to assemble your game plan within about four turns. If that can’t happen, you need to gain enough life or negate enough of their cards to stall until you can win. Tarmogoyf and Chalice of the Void work well for that. Hatebears is a deck very similar to Humans, just without the possibility of a giant Champion of the Parish. The tradeoff is that Hatebears usually has an element of land destruction that can be difficult for the control decks to grind through. Anger of the Gods is significantly better here, since it should sweep up almost all of the relevant cards. Check out Jund for a good list of cards against Death’s Shadow. Death’s Shadow is a little faster, but it runs the risk of an extremely low life total. It has bigger problems against swarm strategies. Sideboard cards are difficult to justify against Aura Hexproof (Boggles), since they aren’t actually useful against any other deck. If you want to beat Hexproof, fast combo decks are a great place to start. Hexproof only has Path to Exile and Leyline of Sanctity as interaction in the main deck. Anything that swarms wide enough or makes large amounts of mana (tron) should be great. Control decks with access to Engineered Explosives are also great. If you want to beat Hexproof, I would try to avoid decks soft to Leyline of Sanctity, Rest in Peace, and Stony Silence. I would expect no less than three of each card somewhere in the 75. Bant consists of a pile of various decks, including Collected Company value decks, Knightfall decks, and Spirit decks. Essentially, expect a value oriented Collected Company deck that can spike a free win with Knight of the Reliquary and Retreat to Coralhelm. If you want to beat this deck, you need a plan for that combo. You also need to be aware of Spell Queller. Merfolk just casts lord after lord and tries to crush you with that. Decks that can play Supreme Verdict or Snapcaster Mage and Lightning Bolt should have a great time against Merfolk. Decks with abundant removal are also good, particularly if they aren’t all red and can kill Master of Waves. If you can’t kill creatures, Merfolk will quickly build up an unstoppable board. Merfolk gets access to a limited suite of counter magic after sideboarding. If you are relying on a combo to win the deck, sideboard games will be much harder. Decks with fragile manabases can also have trouble with Spreading Seas out of the main deck. Zoo is weak to the same cards Merfolk is weak to. The difference is Zoo doesn’t build up a wall of unstoppable creatures, but deals damage faster with smaller creatures. Zoo usually has some burn to get through the last points of damage, in case they lose control of the board. Zoo is much weaker to combo, both in the main deck and the sideboard. Very few combo hate cards cover a wide range of targets, so Zoo usually has only a couple sideboard cards for any one matchup. Zoo picks up more sideboard games against midrange and control, where the plan of cheap creatures backed with burn should still be alright. See Jund. Junk is a little slower without the combo of Lightning Bolt and Bloodbraid Elf. The tradeoff is access to great white sideboard cards, Path to Exile, and Lingering Souls. That makes it better against Affinity and other grindy decks. However, a slowing down makes it much harder to steal a win against decks that are sub-par matchups already. Jund can occasionally steal a win or two against Tron decks, but Junk is not going to be fast enough to steal that kind of miracle. The goal is Karn Liberated or Wurmcoil Engine on turn three. If you can counter that or race it, you should be in a great position. Tron should decimate the midrange and control decks of the format. Almost any combo deck and fast aggressive decks should have a good matchup against Tron. Relying on Blood Moon is not enough to beat tron decks. With the addition of Field of Ruin to the format, mono green Tron is becoming more common. That deck sideboards into a few copies of Thragtusk and Thought-Knot Seers to simply go up the curve from four to seven or eight. Tron is aware of the cards that are best against it. That means Blood Moon needs to be backed up by a clock, or they will simply find enough lands to cast their giant cards. The lesson is be fast or win with a quick combo. Don’t durdle around, or Tron will crush you into the ground. U/R Control is typically going to be a Blood Moon control deck. The individual cards in the decks will dramatically alter the matchup against various decks, but that is the nature of control. Blood Moon will steal some games against 3+ color decks. Theoretically, it should beat the Tron deck, but that isn’t always true. Ulamog, the Ceaseless Hunger is a real magic card, and conterspells don’t really do anything to stop it. Sideboarding to beat U/R Control is similar to most of the midrange decks. Bring in some counter magic if your combo deck can support it. If that isn’t your game plan, bring in the most value-oriented cards you can. 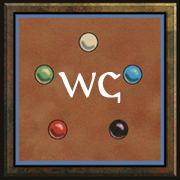 U/W Control is very similar to U/R control in that their card choices highly influence the course of a game. Teferi, Hero of Dominaria has added a very strong planeswalker to the deck, since the card draw ability untaps sufficient lands for interaction in Modern. Value cards are good, and land focused decks (Tron, Valakut) are good. I’m not sure why Mardu Midrange (Mardu Pyromancer) is considered control and Jund is considered aggro. Mardu Pyromancer is very similar, so you’ll have similar plans to fight both. Mardu Pyromancer focuses more on grinding value with small tokens and reloads with Bedlam Reveler. It doesn’t have quite the raw power of the cards in Jund, but Mardu has a little more synergy. Mardu is another Thoughtseize deck, so any deck relying on specific cards is going to be at a disadvantage. Graveyard hate is slightly better against Mardu Pyromancer than it is against Jund. Some sideboard hate like Rest in Peace would come in against both decks. Slightly more situational cards like Leyline of the Void are probably only good against Mardu. Additionally, anything good against tokens is strong against Mardu Pyromancer. Night of Soul’s Betrayal is almost unbeatable. Like most midrange decks, Tron variants should crush Mardu. Gruul Land Loss (Ponza) is essentially a green ramp deck into versions of Stone Rain. Bloodbraid Elf is a strong addition to this deck, removing the need for some of the worse win conditions. Unlike most of the other midrange decks, Ponza will absolutely crush the Tron decks. Fast aggression and decks that can operate with only 1-2 lands should have a good matchup. Likewise, decks that can comfortably function under a Blood Moon should have an easy time of things. Sideboarding against Ponza is difficult. Cheap removal that can hit Birds of Paradise and Arbor Elf on turn one are very good. Pretty much anything cheap is going to be good, particularly discard spells. If you can nullify some of the land disruption Ponza presents, you can often set up a strong board before they regain control. Ponza also doesn’t do particularly well in a top deck war. As soon as a deck can start unloading cards in hand, it is difficult to destroy enough lands to stop it. Like all of the other control decks I covered, the specific cards in Grixis Control will greatly change what the deck is good against. Typically, some combination of Snapcaster Mage and Kolaghan’s Command should be able to outgrind any of the midrange decks in the format. Grixis has some great, cheap removal available for small creatures, and plenty of counter magic against combo and opposing control. The problem is knowing what specific cards to have in the deck, so any version is going to have some weaknesses. Like other control decks, anything value oriented will be a good addition. Discard spells are excellent to clear out counterspells to force through threats. Planeswalkers are going to be excellent. Like most midrange and control decks, Tron is going to demolish Grixis Control. UWx Midrange is typically a blue white deck that splashes red for a lot of burn. Celestial Colonnade is the typical finisher in U/W Control, but the midrange version relies more on burn spells. Spell Queller plays an important part in this equation, countering spells and applying a clock in a single card. Unlike most control decks, some amount of creature removal will be good against this deck. Cards that gain life while still providing some utility (Kitchen Finks) are also going to be good here. Lantern Control is a prison deck that utilizes some powerful lock cards. Ensnaring Bridge prevents creatures from attacking, and Witchbane Orb prevents cards from targeting the Lantern player directly. A combination of Lantern of Insight and cards like Codex Shredder control a players draw steps to prevent them from drawing the small number of cards that might still have an effect on the game. From that point, the Lantern deck typically wins through milling all the cards in a player’s library. Beating this deck can be tough, since it also employs Thoughtseize and Inquisition of Kozilek. Typically, there are only about five turns before the Lantern deck starts to gain control of the board. In that time, you need to apply significant pressure or heavily disrupt their plan. Artifact removal is phenomenal. Stony Silence is great, provided you can still win through a resolved Ensnaring Bridge. Ancient Grudge is excellent, since it still does something if it is milled. This is a subsection of artifact decks that aren’t Affinity or Lantern Control. These decks typically win through some combination of Tezzeret planeswalkers or the Thopter Foundry/Sword of the Meek combo. Ensnaring Bridge often makes appearances to control the board. Tezzerator decks are typically weak to fast aggression if they can’t find an Ensnaring Bridge. The deck will quickly gain life if it can assemble Thopter Foundry and Sword of the Meek, but that typically takes 4-5 turns before significant life gain can happen. Fast combo decks and burn should be able to race that. Smallpox takes the Jund model of removing all player’s resources to a whole new level. Smallpox wants to neuter both decks as much as possible and win with something like a Mutavault. Any synergy-based deck is going to struggle here. Decks more focused on raw power cards (Tarmogoyf) should have an easier time of it, since a single top decked card can quickly swing a game. Leyline of Sanctity is a valuable card here. Most decks with that leyline use it as protection for their combo, but any deck can use it to combat Smallpox. The actual card Smallpox and Liliana of the Veil can get around that, so it still can’t protect your hand forever. Graveyard based decks like Dredge should have an easy time against Smallpox. The Rock is a midrange G/B deck that gives up the extra color cards in Jund or Junk. Instead, it has a more stable manabase and cards like Tireless Tracker to make up some value. It falls somewhere between Jund and Junk for speed, not as fast as Bloodbraid Elf and Lightning Bolt, but not as slow as Lingering Souls. Sideboarding is going to be the same. Anything that can generate value, particularly cheap planeswalkers, will be good. Also, anything casting a turn three Karn Liberated or Wurmcoil Engine is going to do well. Mono Red Control is another prison deck. It uses Ensnaring Bridge and Chalice of the Void to restrict options, and cards like Chandra, Torch of Defiance to win the game. Other versions use snow lands and Skred as a powerful removal spell. Two mana artifact removal is good against Chalice of the Void, and any artifact removal is good against Ensnaring Bridge. Beyond artifact removal (which varies in effectiveness depending on the build), there isn’t a lot of sideboarding you can do here. Make sure to keep your deck as cohesive as possible, provided you can win through the lock pieces you are seeing. Also, make sure you have answers to Blood Moon if you can’t comfortably play underneath it. Storm is the most popular combo deck in Modern. It cast a bunch of spells and either puts a ton of 1/1 goblins into play or wins outright with Grapeshot. If you want to beat storm, Thoughtseize and Liliana of the Veil are great starts. Removal to kill Goblin Electromancer and Baral, Chief of Compliance is very important. Disruptive cards like Thalia, Guardian of Thraben and Meddling Mage are also very helpful. Humans has a great matchup against Storm. Jund and the other Thoughseize midrange decks are also fairly good against it, provided they have practice. Plenty of sideboard cards are available, such as Eidolon of Rhetoric, Thorn of Amethyst, Leyline of Sanctity, and anything that can sweep a bunch of 1/1 Goblin tokens. Graveyard hate can help against Past in Flames. There are some other cards like Mindbreak Trap and Damping Sphere that are available if your deck has the option to tutor for specific types of cards. Overall, make sure you don’t sideboard too many cards. Your deck still needs to be able to present some kind of clock, or Storm will find a way to rebuild and kill you. The often have Echoing Truth to answer multiple copies of a single hate card. Valakut is a land based combo deck that relies on getting Valakut, the Molten Pinnacle and six other mountains in play. Different versions use a combination of Scapeshift, Primeval Titan, and Bring to Light (for Scapeshift) to get the requisite lands into play. To beat this deck, you need to keep them off of seven lands. The R/G version of the deck has minimal interaction and a quick clock can race them, particularly if Anger of the Gods isn’t too devastating. The Bring to Light version has a wider range of interaction, but the manabase is less forgiving. Field of Ruin can hit that deck harder, since it can cut off the four mana spells available to tutor with Bring to Light. Blood Moon will be a problem for both decks. The Bring to Light version typically has a small range of answers in the main deck, but the G/R version should be cold to it in game one. Disenchant cards will be common in post board games. Both versions of Valakut are fairly soft to combo decks. The blue deck has better sideboard options with counterspells. Living End is phenomenal against creature based decks, and fairly poor elsewhere. The deck’s combo is to simultaneously kill the opponent’s creatures and generate a board all at once. If the opposing deck doesn’t rely on creatures, Living End will be at a large disadvantage. The typical plan then is to rely on Fulminator Mage and Avalanche Riders to kill enough lands to squeeze out a win. Living End is soft to counterspells, Chalice of the Void, and graveyard hate. Most decks should have one or more of the kinds of cards to bring in. Just be sure to avoid Grafdigger’s Cage here, since it doesn’t stop Living End. These days, Creature Toolbox decks typically refer to Devoted Druid combos. Occasionally, some Kiki-Jiki, the Mirror Breaker combos also appear. All tehse decks work similarly, though the supporting cast of creatures will vary. Tons of creature removal will be good here. Collective Brutality is particularly good, since most of these decks run Collected Company and/or Chord of Calling. Elves is a swarm deck. There is a white version that runs the Devoted Druid combo (with Ezuri as a mana sink), and there is a black version that focuses on Shaman of the Pack. Both decks attempt to flood the board with elves and cobble together a win with one of a few payoff cards. Beating Elves is fairly simple. Cards that can kill multiple creatures and one mana removal spells are both excellent. Collective Brutality is excellent here as well, since it can also take Collected Company or Chord of Calling. Any of the control decks should have a fairly easy time against elves. Krark-Clan Ironworks is a fairly complicated combo deck that involves recurring cheap artifacts over and over again for value. That makes both artifact removal and graveyard hate potent, though most decks don’t have sufficient quantities in the main deck. The white sideboard cards Rest in Peace and Stony Silence are both excellent. Other artifact removal can be too slow, since a resolved Krark-Clan Ironworks can do a lot of damage in response to a shatter effect. Make sure to establish a clock against KCI, or it will find ways around your disruptive cards. Dredge is the iconic graveyard deck in Modern. The deck typically produces a large number of creatures for free in the early turns of the game. Those creatures, backed by Conflagurate, are often enough to win game one. Sideboarding against this deck is pretty easy. Find every card you can that hinders the graveyard, and board them in. Removal that exiles is also fairly strong. Land destruction can be potent if you can shut of green sources (for Life from the Loam) and you can survive the initial onslaught of Bloodghasts, Narcomebas, and Prized Amalgams. Like Valakut, Bloomless Titan (Amulet Titan) is a land based combo deck. This deck abuses the interaction between Amulet of Vigor and the Ravnica bouncelands to generate a bunch of mana early. The deck then casts a Primeval Titan and quickly attacks thanks to even more obscure lands. There are several primers available online if you want to find more out about the deck. If you just want to beat it, Blood Moon is a great start. Amulet Titan will bring in disenchant effects during sideboard, but the deck can’t win through a Blood Moon. If you can protect it or race their setup, wining should be easy. A small amount of creature removal is good, since the cheap creatures are potent if they can stay in play. 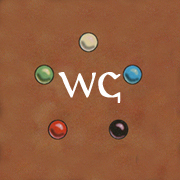 Walks (Taking Turns) is a deck that attempts to take every turn of the game starting around turn four or five. If you can reliably present lethal damage by then, or if you have access to counterspells, you shouldn’t have a problem against this deck. A small amount of enchantment and artifact removal is good, since the deck relies on Dictate of Kruphix and Howling Mine to draw enough cards to chain together extra turn cards. Creature removal is pretty useless, since the deck usually wins with random Snapcaster Mages or Jace, the Mind Sculptor. Ad Nauseam is a combo deck that is fairly weak to Thoughtseize and counterspells. Most aggressive decks struggle to race it, since Angel’s Grace and Phyrexian Unlife are free ways to stall the game. If you can interact with the deck before Ad Nauseam resolves, you should be in good shape. If you are just attacking with creatures or casting Lava Spike, they will often combo off before you can get the job done. On that note, adding discard and counterspells is a great way to fight this deck. Land disruption is mediocre, since the deck can generate a lot of mana on the combo turn. Chalice of the Void can help disrupt the setup cards, but it only hits Angel’s Grace in the actual combo. Infect is a creature combo deck that can’t win without one of only a few creatures in play. If you can keep those creatures off the battlefield, you should be set. You can try to fights the pump spells, but they often have access to a bunch of those. Infect has access to counterspells and creature protection. Overloading on removal should do it, but decks with only a small amount of removal will need help out of the sideboard. Make sure you keep removal that can interact with Inkmoth Nexus in reserve if possible, since that is often the most protected source of infect. Blood Moon often costs too much mana to get down early (without just dying), but Field of Ruin can take care of your. You won’t be able to fit all of the sideboard cards you want in your deck. There are simply too many different decks in modern to try to fight against. Consider what your deck is good and bad against, and devote spots accordingly. Try to make sure your cards overlap to cover multiple different decks. Good luck at your next event!